The Charlotte Regional Visitors Authority will leverage our hospitality marketing and management expertise to maximize the impact of the Charlotte Region’s economy…creating opportunities and jobs for our community. The Catering Manager is responsible for managing Catering and Club operations for Bojangles’ Coliseum and Ovens Auditorium and ensuring that all operations are carried out successfully. Responsibilities may include functions at other CRVA venues. -Maintains communication lines with facility management for effective event planning. -Maintains optimum standards of sanitation and safety in accordance with all applicable regulations. -Oversees functions of the Club, Kitchen, Catering & Premium Seating in a “hands on” capacity. -Ensures food quality and standards are met. -Schedules, trains and directs staff. -Completes payroll records of department staff. -Identifies marketing opportunities and develops strategies to achieve greater sales volume. -Maintains proper inventory levels for scheduled events. -Ensures compliance with all NC ABC regulations. -Ensures adequate level of product by continual supervision of stock levels. -Successfully plans all food & beverage, rentals, and equipment needed for all catering and club functions. -Maximizes technology POS system for efficiency and customer service enhancement. -Upholds and enforce hospitality standards through daily reminders, training, observations, follow-up; investigates food quality and service complaints, log service recovery issues. -May perform other duties as required. -Must be able to work a flexible schedule which may consist of nights, weekends and/or holidays. -This job has some budgetary responsibilities. -This job will have periodic access to confidential data including financial statements, company records and/or minutes, customer quotes, and company plans, designs, and programs. -Manages 4-6 part-time subordinate supervisors who supervise up to fifty employees in the Catering & Hospitality Department during events. Is responsible for the overall management, coordination, and evaluation of catering & hospitality employees. Carries out supervisory responsibilities in accordance with the organization’s policies and applicable laws. Responsibilities include interviewing, hiring, and training employees; planning, assigning, and directing work; appraising performance; addressing complaints and resolving problems. -Language Ability: Ability to read, analyze, and interpret general business periodicals, professional journals, technical procedures, or governmental regulations. Ability to write reports, business correspondence, and procedure manuals. Ability to effectively present information and respond to questions from groups of managers, clients, customers, and the general public. -Math Ability: Ability to add, subtract, multiply, and divide in all units of measure, using whole numbers, common fractions, and decimals. -Reasoning Ability: Ability to solve practical problems and deal with a variety of concrete variables in situations where only limited standardization exists. Ability to interpret a variety of instructions furnished in written, oral, diagram, or schedule form. -To perform this job successfully, an individual should have knowledge of the Microsoft Office suite; Food Service equipment; and Two-way radio. -Associates degree in culinary or hospitality and three to four years related experience and/or training; or equivalent combination of education and experience. -3-5 years’ experience in managing kitchen operations is strongly preferred. -The employee must regularly lift and /or move up to 60 pounds. 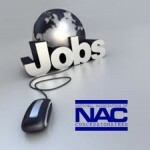 -Specific vision abilities required by this job include close vision. While performing the duties of this job, the employee is regularly required to sit; use hands to handle or feel and talk or hear. The employee is frequently required to stand and walk. -The noise level in the work environment is usually loud. -This incumbent in this job may travel between CRVA venues as needed.